Westminster’s 40+ societies, the diversity of which reflects our pupils’ broad range of interests, are open to the whole school. For those wanting to engage with politics there are clubs such as the Conservative Society, the Liberal Society, or the Diplomatic Society; if a pupil is keen on culture or the Arts they might join the Pride Society, the History of Art Society, or the Popular Culture Society; if they want to delve deeper into more academic subjects they could try the Biology Society, the Classics Society, or the Geography Society; or perhaps they might explore a new area of interest with something like the Bridge Society, the Engineering Society or the Middle Eastern Society. All our Societies are run by the pupils themselves, led by those in the Upper School, and involve a mixture of external speakers and internal pupil-led discussions and presentations. Recent external speakers include Robert Choke, Chairman of the Office for Budget Responsibility; Andrew Copson, Chief Executive of the British Humanist Association; Jacob Rees Mogg, Conservative MP; and Kate Adie, former chief news correspondent for the BBC. Past pupil-led events have discussed areas such as online privacy, the biology of dyslexia, music in the fiction of Murakami, solving chessboard problems and the existence of a gay gene. The nature of Westminster’s approach to learning means that a debate-style challenging of ideas and development of arguments is common to most of the Societies; however, there are also several specific debating societies, teams and programmes. As well as internal opportunities such as House Debating, Westminster pupils can get involved in external inter-school competitions both nationally and internationally. 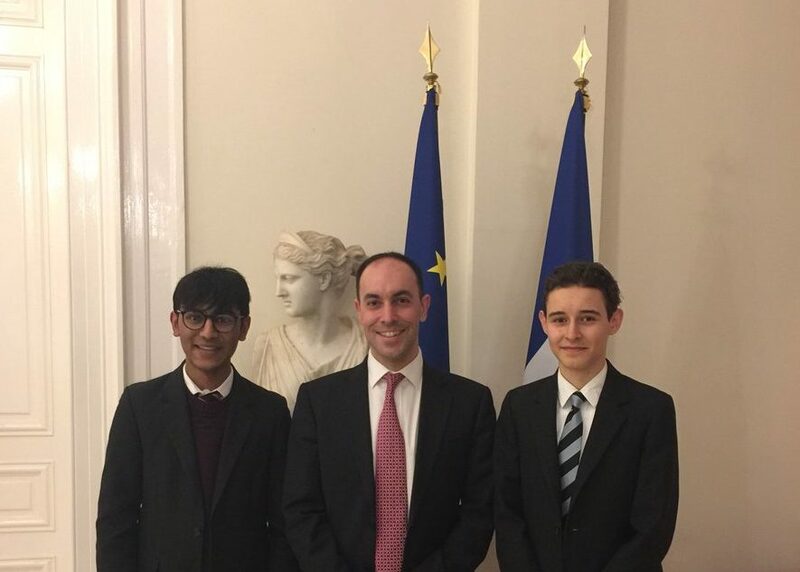 In recent years we have experienced enormous success in these competitions and this year, as part of Team GB, one Westminster pupil took Gold and was crowned one of the world’s best debaters, our top French debating pair reached the final of National French Debating Competition at the Institut Français and, last year, our Westminster debating team won the UCL Schools Tournament and reached the Grand Finals of the SOAS Schools Tournament and Debate Mate Cup. The School’s other Societies have also enjoyed acclaim. Westminster’s team of pupils involved in the Model United Nations took the top award at the NHSMUN in New York, we won the Senior Competition of the national Schools’ Challenge, our sixth win in the last decade; and there were prizes for our classicists at the Classical Association Greek and Latin Speaking Competition and geographers in the Queen’s Commonwealth Essay Competition. Although our extensive range of activities will enable pupils to discover new interests, we also want to empower all our boys and girls to develop and share their own passions; so if a Society or activity does not exist that is of interest to a group of pupils then they are encouraged and supported to set it up.